The Greek historian Herodotus is very similar to the British condiment Marmite. You either love him or you hate him. As part of the former group, I believe that at least some of the animosity toward Herodotus comes from several misunderstandings about his history. Herodotus is the anti-Wikipedia historian. He does not give us a collection of facts as much as series of stories. History for Herodotus can be found in what people say about themselves, others, and what we can deduce by comparing the stories, tales, legends, and reports from people around the Western world. Perhaps more importantly, there is oftentimes a general misunderstanding of what he is trying to do in The Histories. The style … of Herodotus, as being simple, free, and easily suiting itself to its subject, has deceived many; but more, a persuasion of his dispositions being equally sincere. For it is not only (as Plato says) an extreme injustice to make a show of being just when one is not so; but it is also the highest malignity to pretend to simplicity and mildness and be in the mean time really most malicious. Along with Herodotus’s colorful style, Plutarch believed that his account of the Greco-Persian Wars was too generous to the Persians and the Egyptians, and far too critical of his own people. Interestingly, many scholars today teach the exact opposite message: that Herodotus was too Greco-centric, failing to mask his nationalist prejudices. But getting back to Herodotus—was he prejudiced? Is it true that he failed to give Darius and the Persians a fair hearing? Are his Histories transparently biased in favor of the Greeks? I must say I can’t see it myself. In fact, the whole point of Plutarch’s nasty attack was that instead of glorifying Greek achievements, Herodotus belittled his own people while talking up the Persians and Egyptians instead. According to Plutarch—himself a 1st-century AD Greek who lived much of his life in Athens—this pro-Persian bias in a Greek historian deserved to be exposed and denounced as an unpatriotic scandal. However, it seems to me that neither position is quite accurate. With all due respect to Plutarch, I think that he lost sight of the forest through the trees, by attacking Herodotus for not being pro-Greek, in a history that celebrates Greek victory after Greek victory. 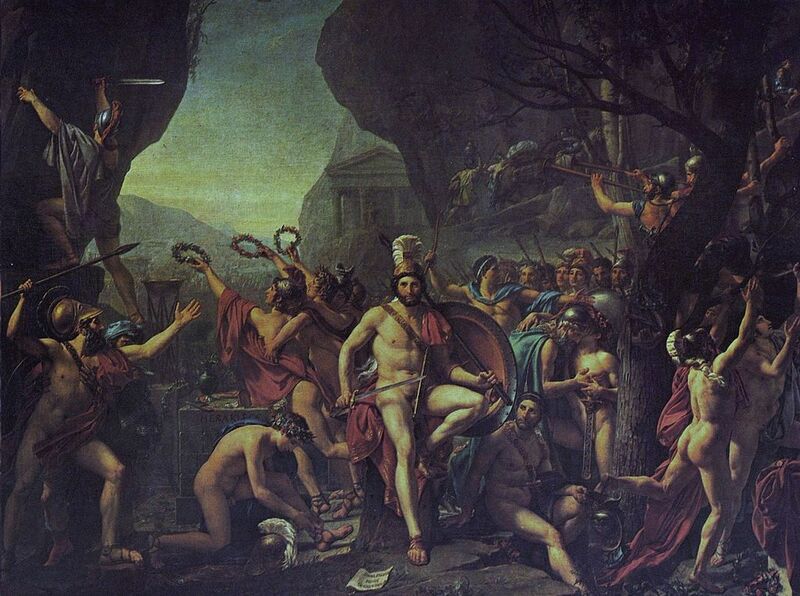 Herodotus even boasts that he has memorized all three hundred Spartan names that fell at Thermopylae. At the same time, to call Herodotus xenophobic or Greco-centric is anachronistic and unfair. First, it levels a very modern standard of history writing upon someone who lived 2500 years ago. Second, one of the startling facts about Herodotus is that he gives a great deal of kudos to the ancient civilizations like Egypt and Persia. He dedicates the entirety of book 2 to setting out, and often praising, the exceptional (and bizarre) qualities of ancient Egypt. Likewise, the Persian emperors like Cyrus and Darius are held in high esteem. Cyrus is depicted as a natural leader, both graceful with his enemies and courageous in his actions. Darius is seen as the mastermind behind the efficient system of the empire, establishing a network of satrapies, which allowed the empire to expand across the Middle East and into central Asia. Certainly, there are foreigners who do not receive rave reviews from Herodotus. He believes that Cambyses II was completely insane and that Xerxes was generally deficient as both a king and a man. But it is their personal qualities, not their culture or heritage, that make them this way. Conversely, Herodotus does not hide the fact that there are traitors abounding among the Greeks (e.g. Demaratus and Hippias) who are willing to work with the Persians for money, and that it was Greek fools like Aristagoras who ignited the conflict between Greece and Persia. Instead, I have always read Herodotus as a historical and cultural celebration of human society. Yes, part of that celebration is reminding everyone that the Greeks beat back the Persian invasion, that the Greeks stood alone in the Mediterranean world against all the odds and a Persian army that had steamrolled across everyone else. However, another part of that is Herodotus’s reveling in the various differences and similarities that he finds between his own culture and those in Egypt, Persia, Scythia, Europe, Libya, etc.